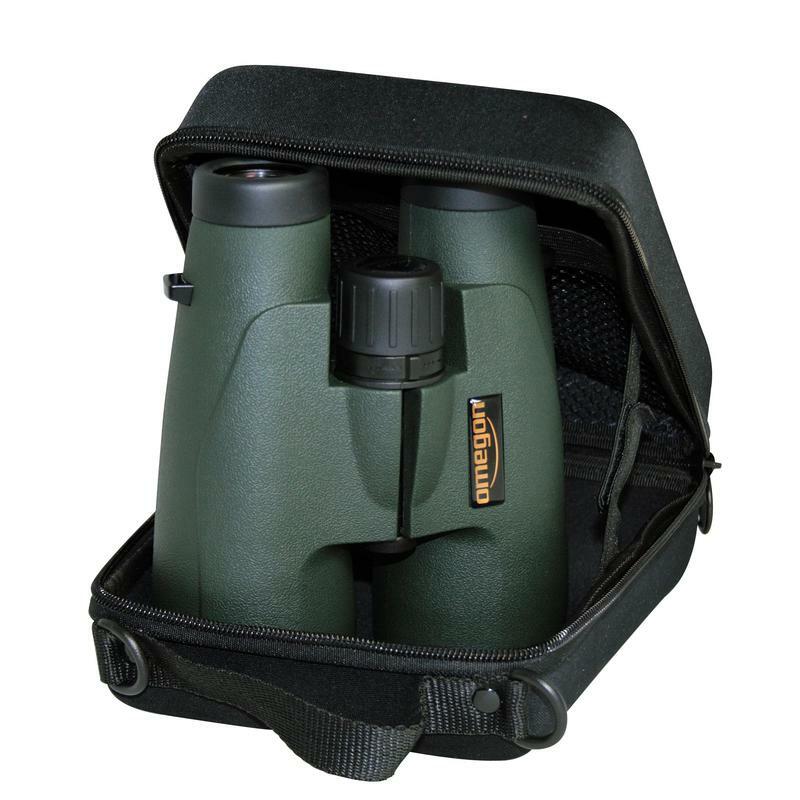 Omegon 8x56 HD binoculars are a powerful instrument for hunting, but are also suitable for nature watching and astronomy, with excellent optics and at an unbeatably low price. 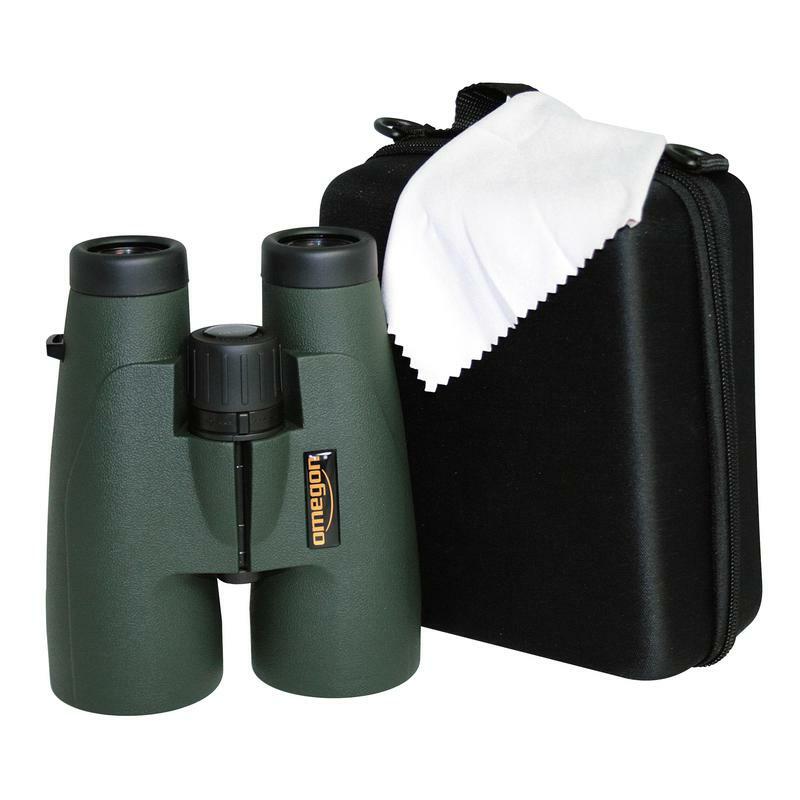 Their 56mm lens aperture means they collect 64 times more light than the naked eye, providing an extremely bright image - as only binoculars of this size make possible. 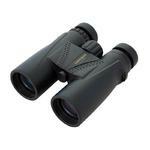 These binoculars are therefore perfect for use in twilight or in unfavourable lighting conditions. 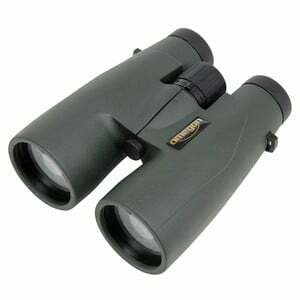 Their eight times magnification allows objects to be easily held steady in the middle of the field of view. 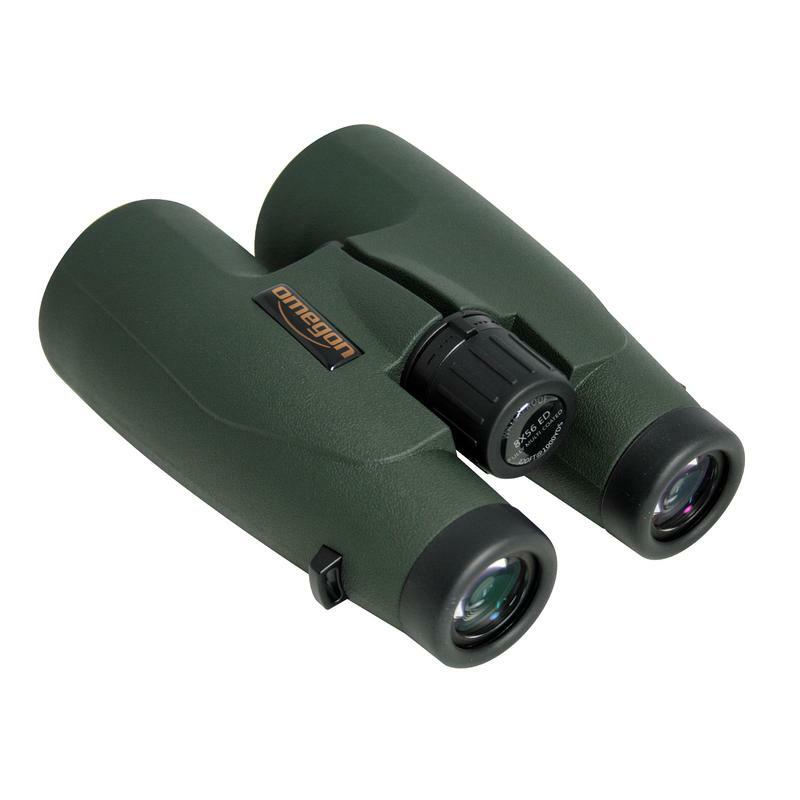 These binoculars have outstanding optical and mechanical features. 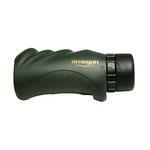 The objective is built up from special optical lenses which include an ED glass lens element. The APO optics (apochromatic) provide outstanding colour correction. 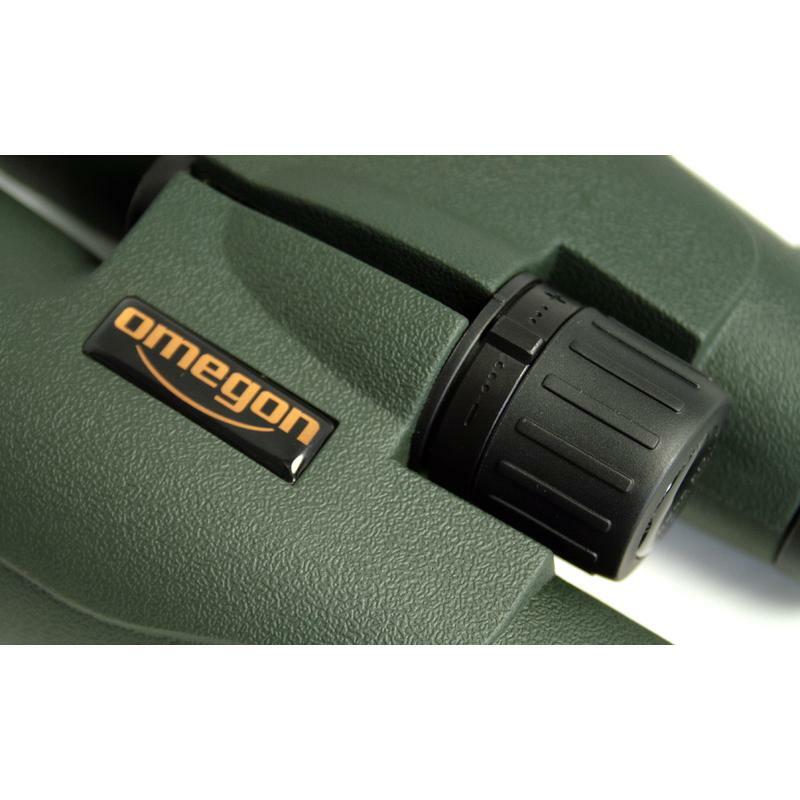 The BAK 4 prisms are both multicoated and phase-coated, a combination which substantially improves contrast and resolving power. The binoculars provide a wider field of view than usual and give a very sharp image right up to the edge of the field of view. 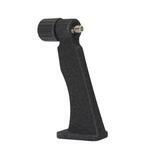 They are also corrected for field curvature, contributing to a true to life image. 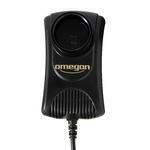 Omegon 8x56s are ergonomically designed for comfort. Focusing is by means of a smoothly operating central focuser and dioptre adjuster. 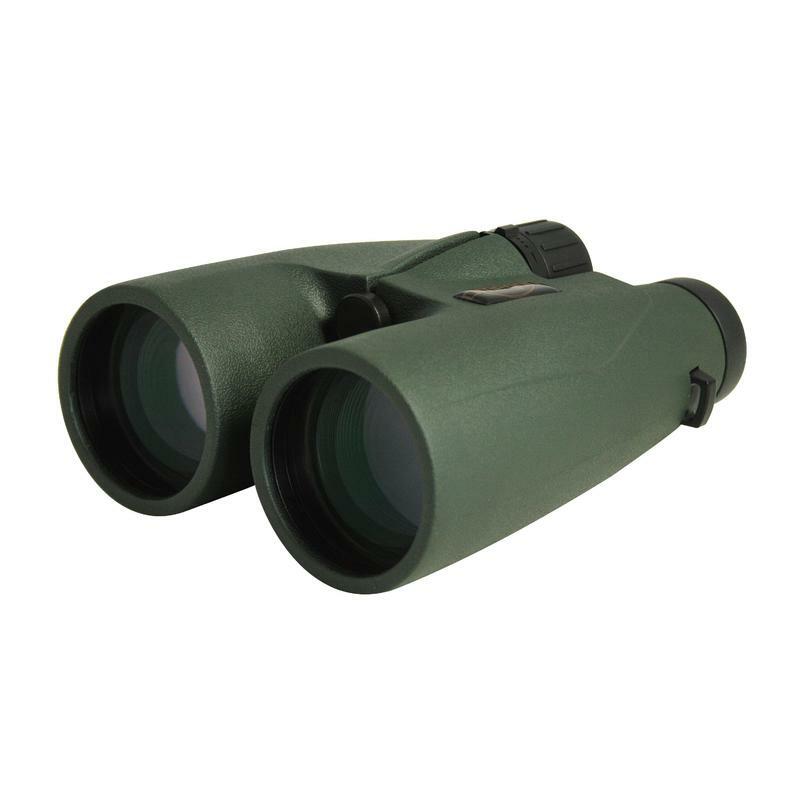 Foggy weather or rain has no effect on these binoculars - they are both waterproofed and nitrogen-filled. The binoculars come complete with a velour-lined hard case.